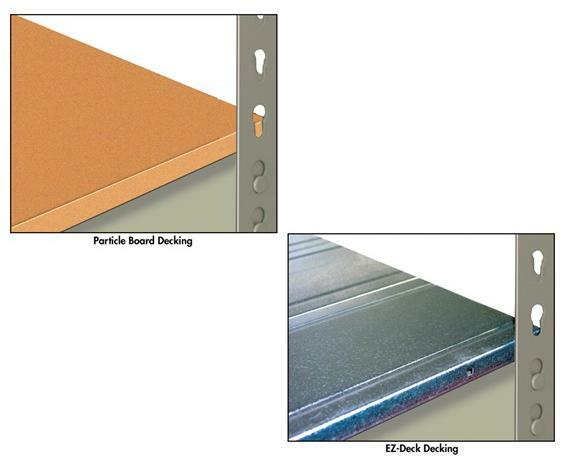 Particle Board Decking is for use on Single and Double Rivet units and is Industrial Grade 1-M-2. ;EZ-Deck is 22 ga. galvanized formed steel. Multiple planks are used to achieve unit depth. 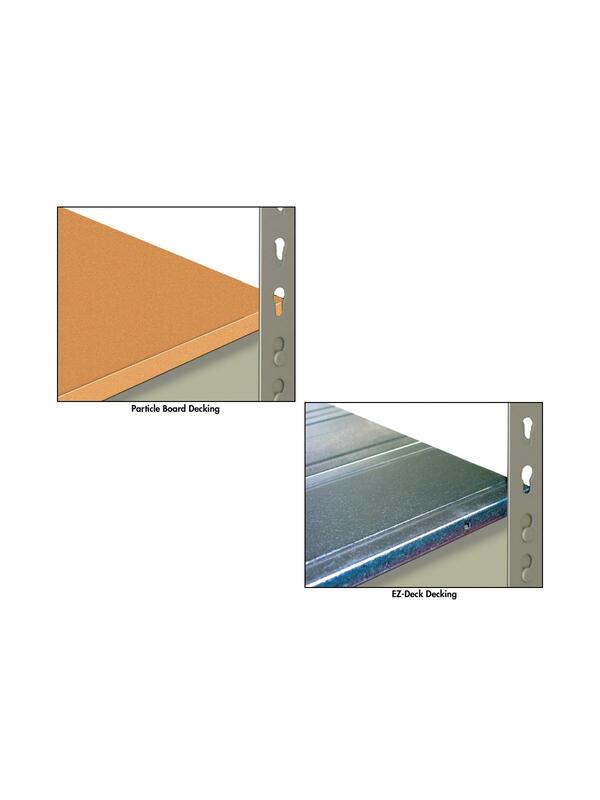 EZ-Deck decking is for use on Double Rivet units ONLY, must be center supported for widths greater than 42". FOB Shipping Point. W x D 36 x 12" 36 x 18" 36 x 24" 42 x 15" 42 x 30" 48 x 12" 48 x 18" 48 x 24" 48 x 36" 48 x 48" 69 x 15" 69 x 30" 72 x 24" 72 x 36" 72 x 48" 96 x 24" 96 x 36" 96 x 48"